When Arsene Wenger first took English football by storm, it was the speed which stood out. The Premier League was still languishing in route-one football; put a big man upfront, throw a long ball in the mixer and you may occasionally find a Matt Le Tissier special. Wenger challenged the deep-rooted notion. His band of savvy European players, predominantly French, thrived together, putting out the flames of darkness which blighted English football. While there were many delightful attributes — Dennis Bergkamp, for example, brought the touch — the speed of thought and movement overwhelmed opponents. With deft touches, quick interchange of positions and blitzing runs past defenders, Arsenal moved in the fifth gear. They had reached the promised land before anyone else in England. Ever since everybody caught up with Arsenal, Wenger has tried his hand at various recreations of those sunny days from his early years. This season, his hand forced by the never-ending rumblings of the transfer market, the French manager has brought the speed back. Liverpool has already shown that a creaky defence cannot limit offensive effervescence. It is time for Arsenal, to borrow the phrase often reserved for sides which can destroy with pace, run riot. Mesut Ozil, Henrikh Mkhitaryan, Pierre-Emerick Aubameyang and Alexandre Lacazette. These are the men entrusted with rubbing out the nightmares of Alexis Sanchez’s final days. 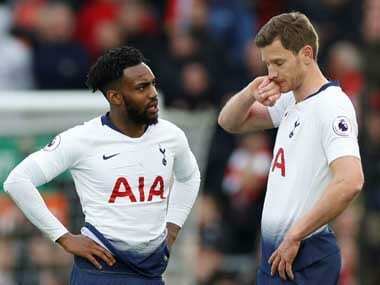 As another North London derby rolls up, it is worth recalling that it was Tottenham Hotspur which had initiated the Premier League’s renewed love affair with pace. Arsenal can now wrest the narrative. So, it seems rather curious that the build-up to this encounter has been diverted to speculation over Lacazette’s future. On Friday, it was Emmanuel Petit’s turn to say that the French striker’s time at Arsenal might be winding to an end. 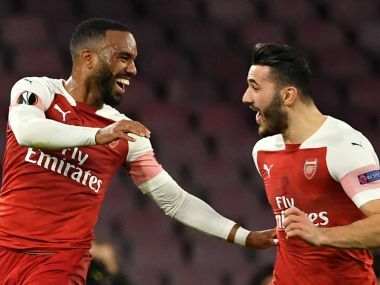 After scoring four times in his first six league appearances, Lacazette has grabbed only five goals in the following 19. With the arrival of Aubameyang, some wonder whether he will be able to hold his place in the starting XI anymore. This is not the first time Lacazette has had to deal with such questions. There have always been doubts over his ability to excel at the biggest stage, his impressive goal-scoring record notwithstanding. 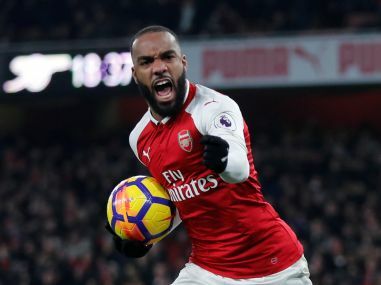 It has certainly been a frustrating and exhausting introduction to English football for Lacazette, who has had to carry the Arsenal strike force through the festive period. Indeed, Lacazette shared a deep emotional connection with his former club. After spending 14 years with Lyon, the French striker finally made a move which had seemed impending for years. Six months, though, is too little a time to settle anywhere, let alone at your first foreign club. The quicker defenders and the greater intensity of football in England only add more seams to the transition. Yet, Lacazette has shown that he is not out of place. In France, he was often taunted by the name ‘Penalzette’ for the number of goals he scored from spot-kicks. But it was Lacazette’s decisive presence and his mind-numbing physical effort — which has led to a few fitness issues in the past — which eventually won most observers over. Even at Arsenal, the 26-year-old has demonstrated a willingness to put in the hard yards. The club’s travails on the road have meant that Lacazette has had to engage in solitary running at defenders, while holding up the ball to help his side keep possession and make incisions in attack. However, the striker has been at his best when his core values have been called into action. With his deft turns inside the penalty area and a keen eye for goal, Lacazette has stood out as a sharp presence. Although the goals have dried up recently, his contributions have been noteworthy. It does seem odd that yet another big game for Arsenal has seen the conversation move on to Lacazette. Earlier in the season, it was his exclusion from the starting line-up for the games against Liverpool and Manchester City which saw hand-wringing from the fans. After the money spent on Lacazette in the summer, it was unfathomable that he would not be Wenger’s first-choice striker. Yet, he finally broke through. But just as his initiation into English football is coming to an end, Lacazette has been confronted with queries over his future at Arsenal. The doubts never go away. But it seems rather early to ponder where Lacazette will move in the summer. 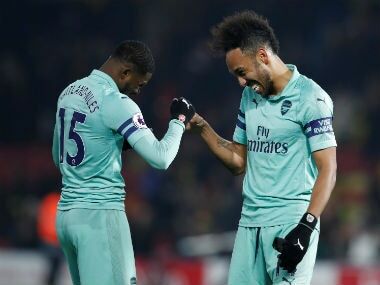 Although a front four of Lacazette, Aubameyang, Ozil and Mkhitaryan may seem like a luxurious gambit, if this season is anything to go by, outscoring the opponent might be Arsenal’s best bet for victory in the big games. 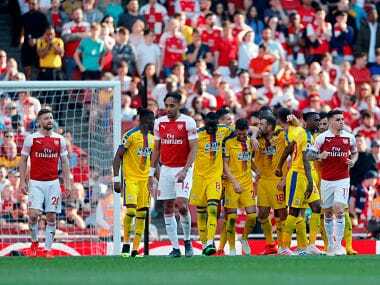 Even against smaller sides, the Gunners may find that this frontline can win them points by the sheer dints of skill and pace in the final third. The answer to Lacazette’s future may well lie in the past. The French international had begun his career as a winger on the right at Lyon. Over the years, Lacazette excelled in strike partnerships as a support forward or as a lone man upfront in 4-3-3 and 4-2-3-1 formations. His versatility has been under-emphasised in discussions over his potential role at Arsenal following the arrival of Aubameyang and Mkhitaryan. Lacazette can shift out wide and still be an effective presence through his work-rate and movement. By stretching out play, he can create space for a quicker man like Aubameyang to sprint through. And if record books are still reliable, the goals will come sooner rather than later. Amidst the guile and pace of his teammates, the Frenchman can be the serenity in Wenger’s refurbished speed revolution. Lacazette is not cancelled, not just yet.